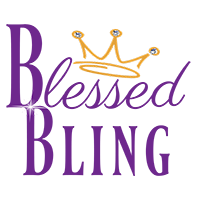 Lasered with the names of God in Hebrew corresponding with the English spelling. 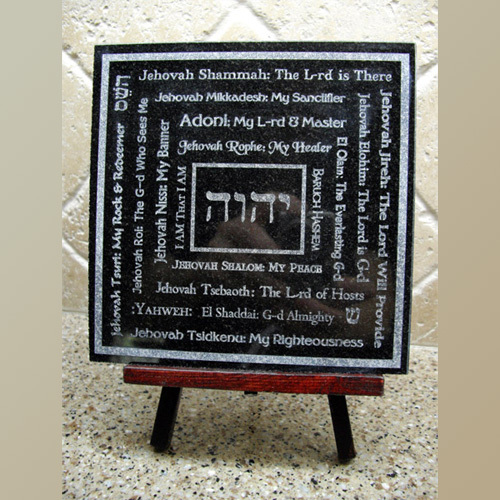 This ceramic stone tile is lasered with the names of God in Hebrew with the corresponding English spelling. In the center of the tileis יהוה‎ which is the Hebrew written form of JHWH (generally pronounced Jahweh). 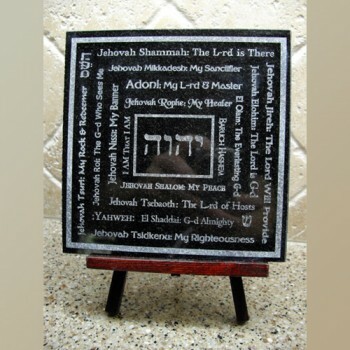 This beautiful tile is a wonderful reminder of God’s names and attributes.